Thomas Aquinas | Challenging the perceptions for our realities! Thomas Aquinas, OP (/əˈkwaɪnəs/; 1225 – 7 March 1274), also Thomas of Aquin or Aquino, was an Italian Dominican friar and Catholic priest and an immensely influential philosopher and theologian in the tradition of scholasticism, within which he is also known as the “Doctor Angelicus” and “Doctor Communis”. 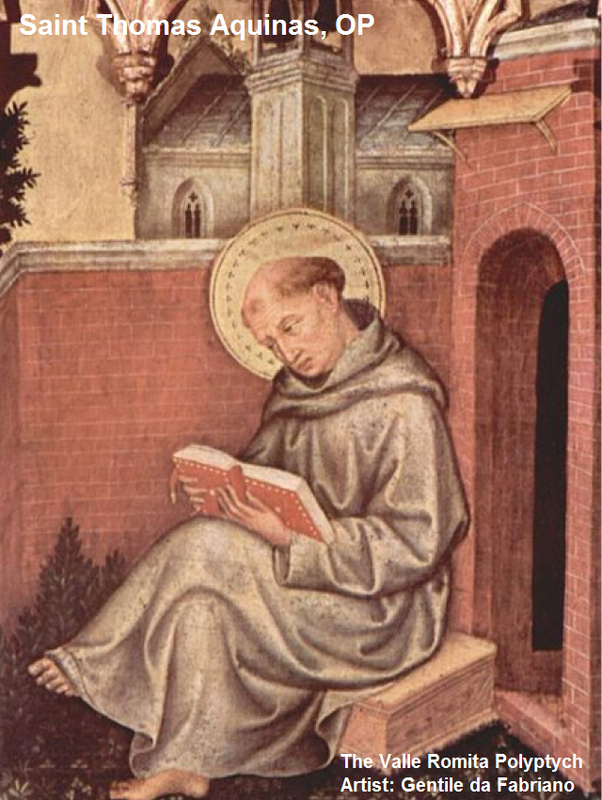 “Aquinas” is from the county of Aquino, an area where his family held land until 1137. He was born in Roccasecca, Italy. He was the foremost classical proponent of natural theology, and the father of Thomism. His influence on Western thought is considerable, and much of modern philosophy was conceived in development or opposition of his ideas, particularly in the areas of ethics, natural law, metaphysics, and political theory. Unlike many currents in the Church of the time, Thomas embraced several ideas put forward by Aristotle — whom he referred to as “the Philosopher” — and attempted to synthesize Aristotelian philosophy with the principles of Christianity. The works for which he is best known are the Summa Theologica and the Summa contra Gentiles. His commentaries on Sacred Scripture and on Aristotle are an important part of his body of work. Furthermore, Thomas is distinguished for his eucharistic hymns, which form a part of the Church’s liturgy. Thomas is honored as a saint by the Catholic Church and is held to be the model teacher for those studying for the priesthood, and indeed the highest expression of both natural reason and speculative theology. In modern times, under papal directives, the study of his works was long used as a core of the required program of study for those seeking ordination as priests or deacons, as well as for those in religious formation and for other students of the sacred disciplines (philosophy, Catholic theology, church history, liturgy, canon law). Also honored as a Doctor of the Church, Thomas is considered the Church’s greatest theologian and philosopher. Pope Benedict XV declared: “This (Dominican) Order … acquired new luster when the Church declared the teaching of Thomas to be her own and that Doctor, honored with the special praises of the Pontiffs, the master and patron of Catholic schools”, as they were structured at the time.